Dense golden yellow daisy flowers in summer. 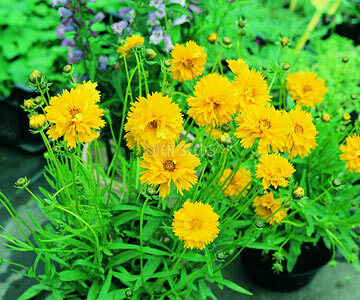 Read more on growing Coreopsis here. 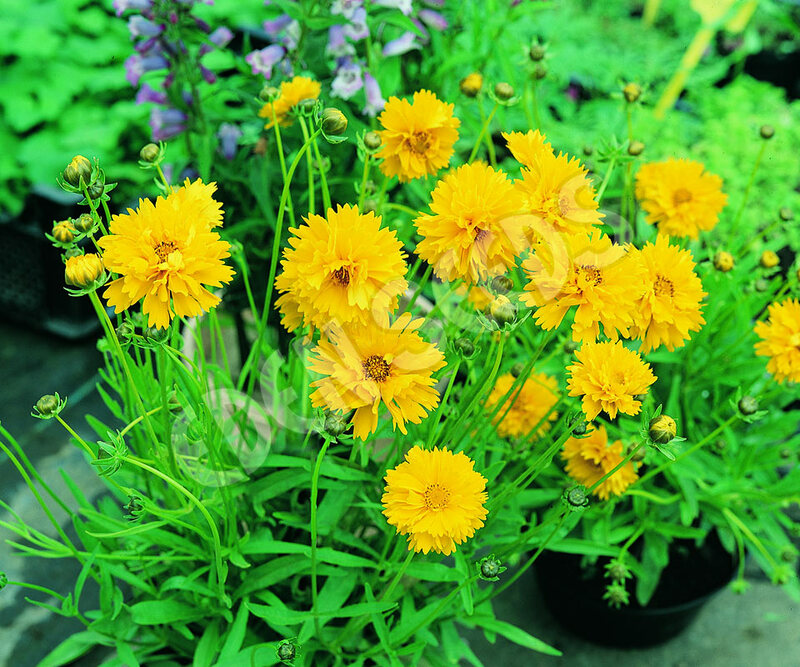 Tall hardy perennial to 70cm, use in beds and borders, harvest as cut flower as buds open, likes sunny position, tolerates shade, drought tolerant, average well drained soil, sow direct in spring and autumn.